My first week here was busy. The North Carolina Tar Heels won the NCAA men’s basketball tournament and are crowned champions. I managed to stay up until midnight to watch it all and celebrate. 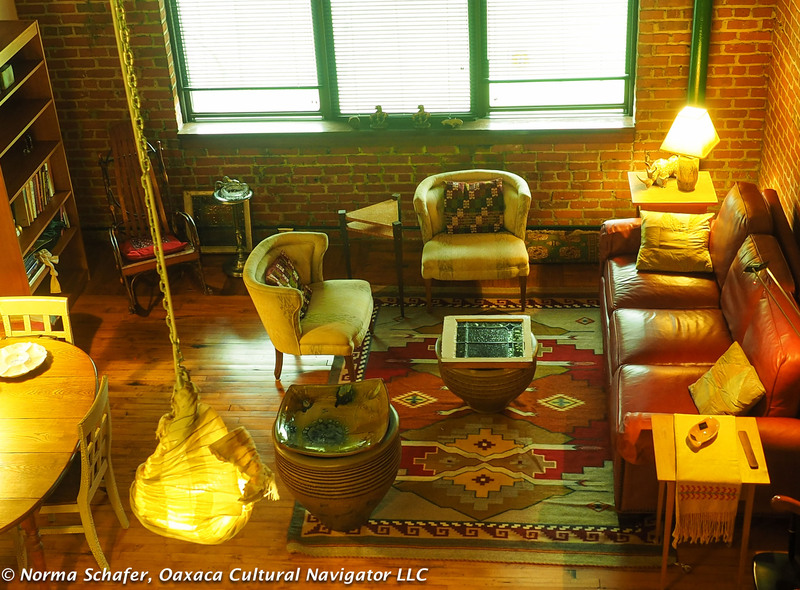 North Carolina living space with Oaxaca treasures. The NCAA, in its infinite ignorance, announced it would lift the sanctions and bring sports tourneys back to NC since the state legislature amended the anti-transgender bathroom law (a sham piece of legislation that still violates civil rights). 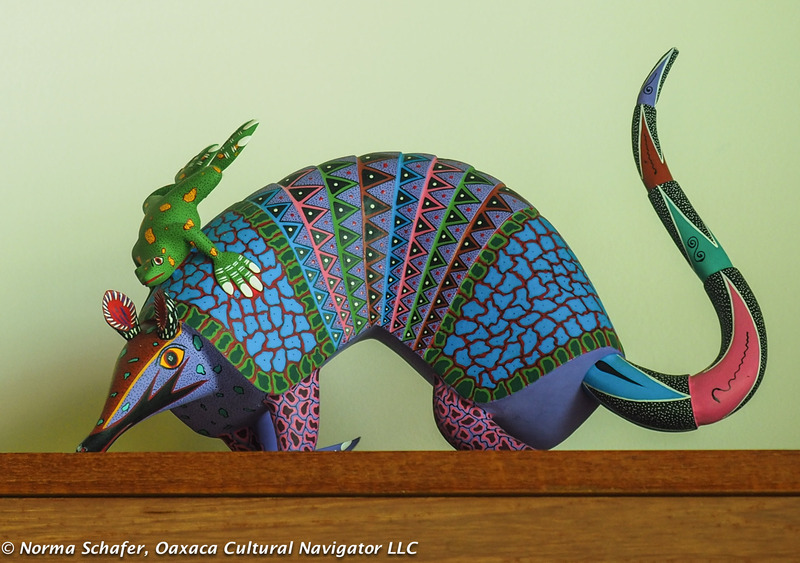 Colorful Oaxaca armadillo alebrije now tops my bookcase. And, I’m unpacking and settling in. A work in progress. 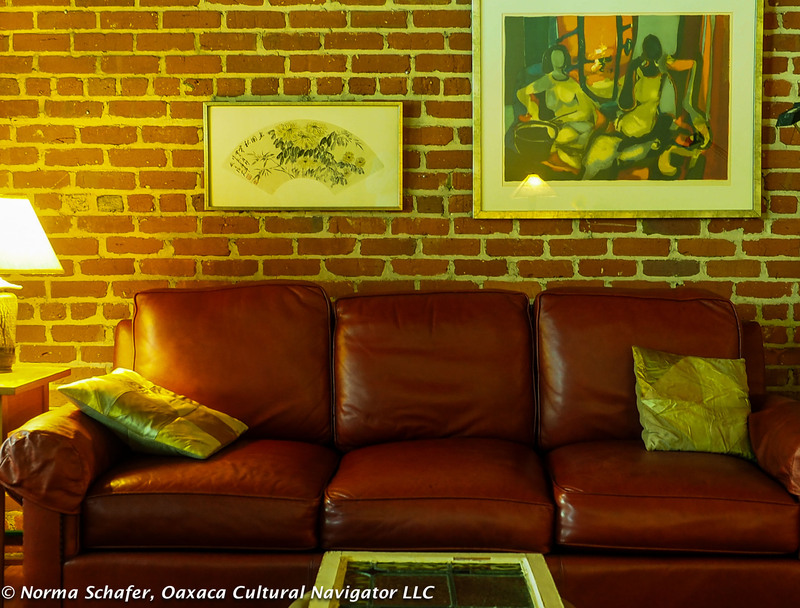 One of the greatest pleasures of being here is rediscovering and becoming acquainted with my Oaxaca folk art collection that I haven’t lived with for four years. 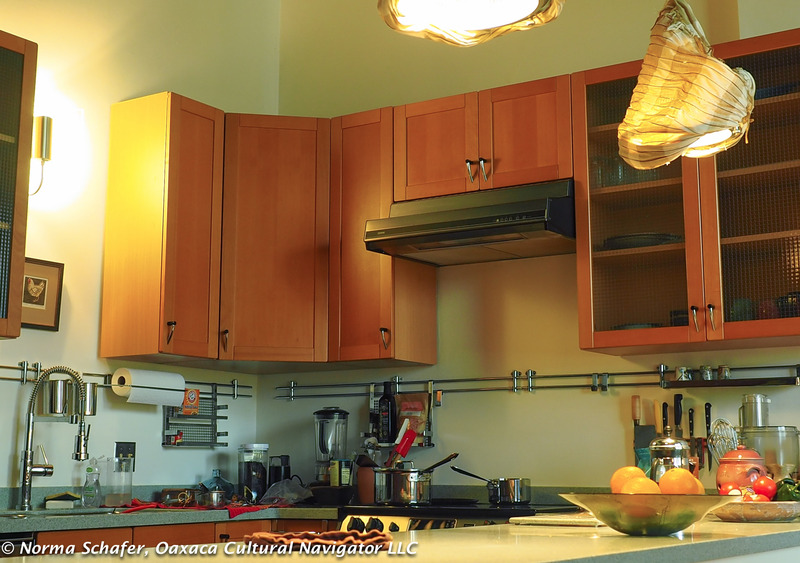 I thought I had downsized to the bare bones when I dismantled my household back then, keeping only what would fit into a five foot by fifteen foot storage unit. But, my goodness, there are many more filled boxes in the upstairs loft space to unload. But, there’s no rush. I’ll be here until mid-May. And, perhaps a folk art sale is in the offing! 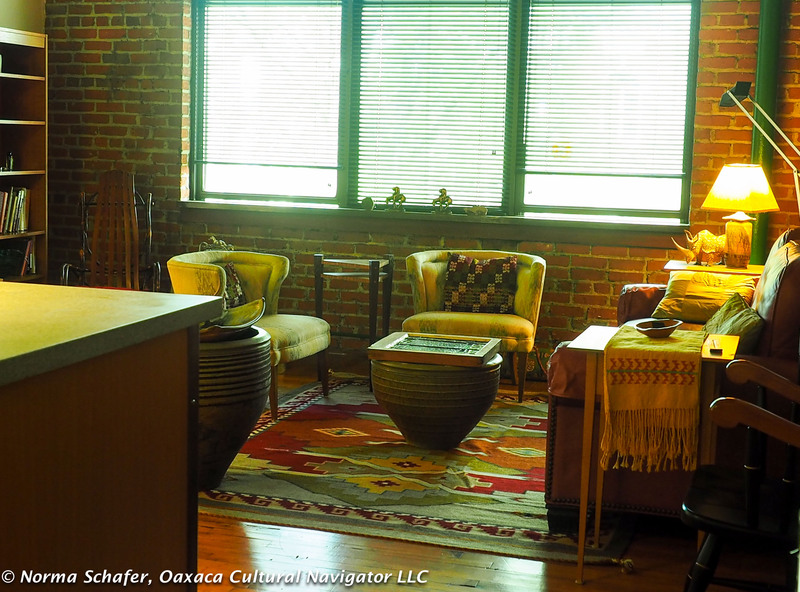 My new space is in an old tobacco warehouse listed on the National Historic Register. Ceilings are twenty feet high. One wall is old brick. The floor is beat-up maple, solid, showing almost one hundred years of wear. I’m downtown, within walking distance of shops and restaurants. In the morning and again at night, there is the sound of the engine whistle as the train moves between Washington, D.C. and Atlanta. Cars on the street below are muffled reminders of city life. From the top floor, I look out on tree tops. This is a juxtaposition to living in the Teotitlan del Valle, Oaxaca countryside, beneath the mountains where my rooftop terrace commands a 360-degree view of the Tlacolula valley. It is not quiet there either, but the sounds are different. I hear donkeys, goats and turkey. I hear the SONI Gas truck announcing its arrival via loudspeaker. The tortilla vendor sings in the distance. The church bell announces a wedding or funeral. Then, all goes quiet, and there is nothing to capture my attention but my own imagination. Here in Durham, the lulls are less frequent. I am embraced by long-time friends. The circle of life expands so that I have the pleasure of enjoying both spaces, different and comfortable. I am no longer an ex-pat but a seasonal bird. On Monday, I managed to host twelve of us for a Passover seder, including four wiggly little boys who loved jumping on the hardwood floors and climbing the loft stairwell. Our three core families have known each other for forty years and now we get to “enjoy” the grandkids. My poor neighbors!